Born: December 1, 1977, Agoura, California, USA. An American guitarist, best known as the lead guitarist and one of the founding members of the Grammy Award winning rock band Linkin Park. He is also the A&R Representative for Machine Shop Recordings. 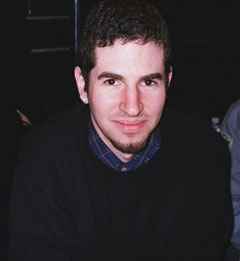 Brad Delson attended Agoura High School with childhood friend and Linkin Park band mate Mike Shinoda. He played in various bands throughout his high school career, the most notable being Relative Degree, in which he met and teamed up with drummer Rob Bourdon.